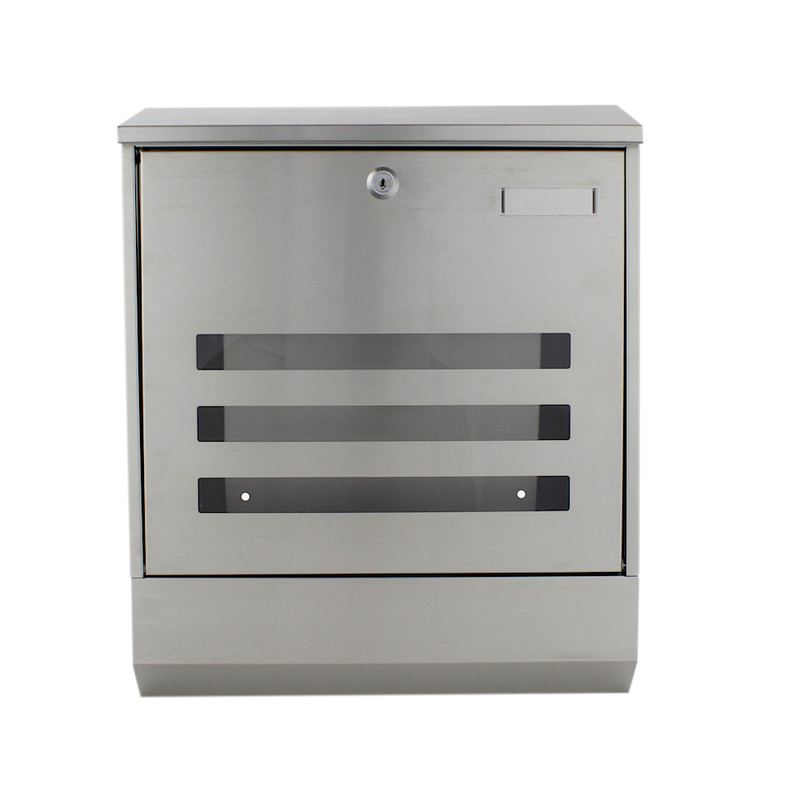 The Rottner Stainless Steel Mailbox Jubilee 40 offers improved design and functionality.The stainless steel body harmonizes perfectly with the 3 plastic view windows.To ensure that your daily newspaper are always protected from moisture, there is a newspaper box attached the bottom of the mailbox.Of course, a field for your name plate has not been forgotten and also the right mounting material is delivered with the mailbox. Rottner Stainless Steel Jubilee 40, is made of stainless steel.The body comes with 3 plastic view windows which combines easy handling and elegant design. On the underside of the mailbox is a newspaper box,that is well protected from all weather conditions. Integrated newspaper holder below main box. Tip: The name badge allows you to easily insert your own name badge into the intended place and it is perfectly protected against moisture.. Its stainless steel body comes with 3 plastic view windows which combines practical handling and fashionable design. On the underside of the mailbox is a newspaper box so that your daytime newspapers are protected from all weather conditions. Tip: The name badge space is perfectly protected against moisture.